Germinated brown rice, also known as ‘sprouted brown rice’, is another popular form of brown rice attributing to its high nutritional value. The high nourishing content of the germinated brown rice is due to the presence of gama-aminobutyric acid (GABA). The germinated form can be obtained by soaking and sprouting of the brown rice in water for a specified number of hours. This method has been considered best for obtaining the maximum amount of GABA and elevating the levels of proteins and good enzymes in the germinated brown rice. The process of germination also leads to significant increase in essential components such as frolic acid, lysine, magnesium, potassium, vitamin E, niacin, vitamin B 6, thiamine, and dietary fibre in the brown rice. These nutrients aid in better absorption during digestion and prevent intestinal irritations, inflammations, and allergies. It can be stored in dried form to increase its shelf life without affecting its advanced nutritional worth. Why we tempt to eat Brown Rice? 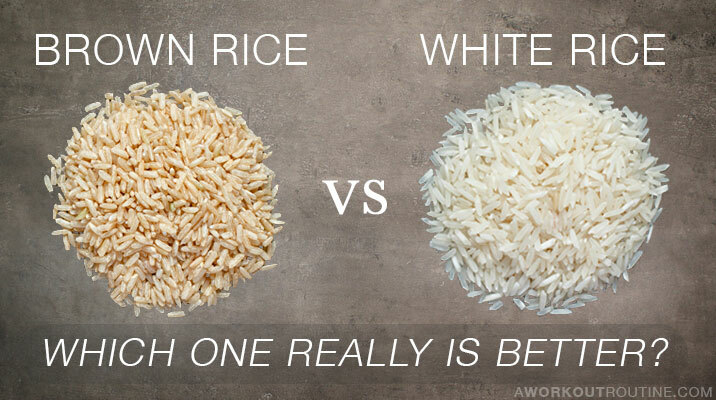 Most of us are aware of the fact that brown rice is better than white rice. The reason that makes it stand out is the quality and quantity of nutrients it offers. The process of milling that converts brown rice into white rice strips away most of its nutritional value then they use the stripped out brown layer to feed the animals such as cattle and chickens. Brown rice thus retains its immense treasure of healthful constituents. There are many varieties of brown rice available in even in supermarkets in Colombo. Brown rice with their unique flavour, aromatic components, and varied concentration of fatty acids. Varieties of brown rice such as Jasmine or Basmati still contain their germ and bran layers, meaning they provide fitness buffs with a range of important nutrients including B vitamins, bone-building phosphorus, and magnesium. Although data shows that about half of all Americans don’t consume their daily quota of magnesium, this mineral is needed for proper muscle functioning. Low levels of magnesium may also contribute to or at least predict heart disease. The basics on how to cook brown rice; there’s not much to it! The amount of water recommended for cooking long- and medium-grain brown rice varies depending on the source, from as little as 1½ parts water to as much as 3 parts water per 1 part rice. I’ve always preferred 2 1/2 parts water to 1 part rice. For example, 2 1/2 cups water to 1 cup rice. Remember to rinse the rice well before cooking. Combine in a medium saucepan with the water. Bring to a slow boil, then lower the heat, Cover (leave lid ajar) and simmer for 30 minutes, or until the water is absorbed. If the rice isn’t tender to your liking at this point, add 1/2 cup additional water and continue to simmer until it’s absorbed. Brown rice gets its colour, flavour and texture from the bran layers that remain on the rice when it goes through the hulling process. It’s milled for less time than white rice, which is why it retains the bran layers and is known for being a healthy source of fibre and for its chewy texture and nut-like flavour. There are four different types of brown rice — short grain, medium grain, long grain and light brown — and each takes a different amount of times to cook. Introduction of brown rice in the diet brings tremendous health benefits. Brown rice is beneficial for diabetics and hyperglycaemic individuals. It has a low glycaemic index which is helpful in reducing insulin surges and assists in the stabilization of blood sugar levels in the body. A comparative study conducted in this regard revealed that it is rich in phytic acid, fibre, and essential polyphenols. It is a complex carbohydrate which helps in the slower release of sugar as compared to white rice. The American diabetes association also recommends choosing nutrient-dense brown rice over white rice for diabetics in order to accomplish the requirement of essential vitamins, fibre, and minerals in their diet. Sprouted brown rice is beneficial for the mental health of lactating mothers. An investigative study has shown positive results in the nursing women with respect to reduction in mood disturbances, stages of depression and fatigue. It has also suggested that consumption of brown rice during lactation enhances body’s ability to resist stress and improves the overall immune defence. Brown rice is a helpful staple which can be added to the daily diet for keeping a healthy digestive system. Fibre present in it helps regulate the bowel function and keeps you feeling full. A comparative study investigating the effects of white rice and brown rice during gastric digestion made it qualitatively evident that the bran layer on brown rice prevents the absorption of acid and humidity, resulting in better texture retention. Fibre content also brings relief from other conditions such as constipation and colitis. Brown rice is rich in selenium which is beneficial for a healthy heart. Consumption of whole grains such as brown rice helps to reduce the blockage of arteries due to plaque build-up. This protective action reduces the risk of cardiac disorders such as high hypertension and vascular diseases. Studies conducted in this regard suggested that the tissue surrounding the grain of brown rice contains a component which acts against the endocrine protein angiotensin II, which plays a major role in the development of high blood pressure and atherosclerosis. Brown rice is a great option for maintaining healthy levels of cholesterol due to the presence of naturally occurring oils. An investigative study revealed that it possesses hypo cholesterolemic qualities, thus regulating cholesterol catabolism. It contains beneficial nutrients that help in lipid and glucose metabolism. Another study conducted revealed that consumption of brown rice has shown significant improvement in the serum and HDL cholesterol concentrations in the subjects with chronic ethanol abuse. It also suggested that germinated brown rice extract helps in preventing the rise of liver triglycerides due to excessive alcohol intake due to the presence of gamma-aminobutyric acid.